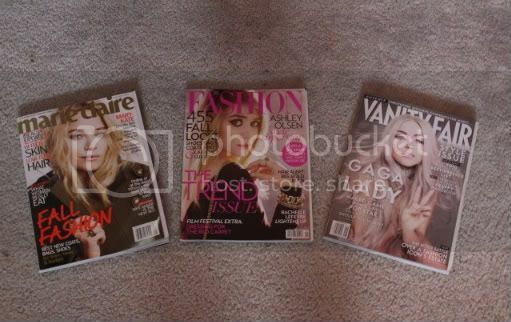 magazines i picked up in the last few weeks. HELLO EVERYONE :) i am so very sorry for not posting in a while, but suddenly i got extremely busy and just couldn't find the time to post anything. ANYWAYS, I HAVE A QUESTION: I have been looking at other blogs and am starting to slowly dislike my own, in the way of how my posts look... soooo, should i keep posting like i do? or change it up?